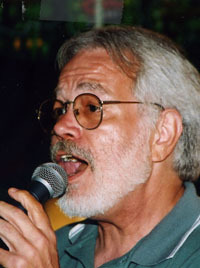 Renowned Kansas City Blues Musician) Leonard James (Jimmy) LaForte, 62, Kansas City, MO, passed away May 29, 2010 at his home. He was the original singer and bandleader along with Rich VanZant at the Saturday afternoon Harling’s in 1984. The guitarist with that band, Jay EuDaly, has said, “In his prime, LaForte had a voice, an authentic voice, that was unmistakable and no one could touch him when he sang in that classic R&B style.” LaForte’s most recent album, Catfish Pizza Breakfast , is available for purchase at several sites online. A memorial jam was held at BB’s Lawnside Bar-B-Que on June 12.